The ARL Series capacitive touch switches provide an embedded capacitive-touch slider functionality with multiple options and appearances. Style choices are a variable resistor slide or a “touch anywhere” encoder. 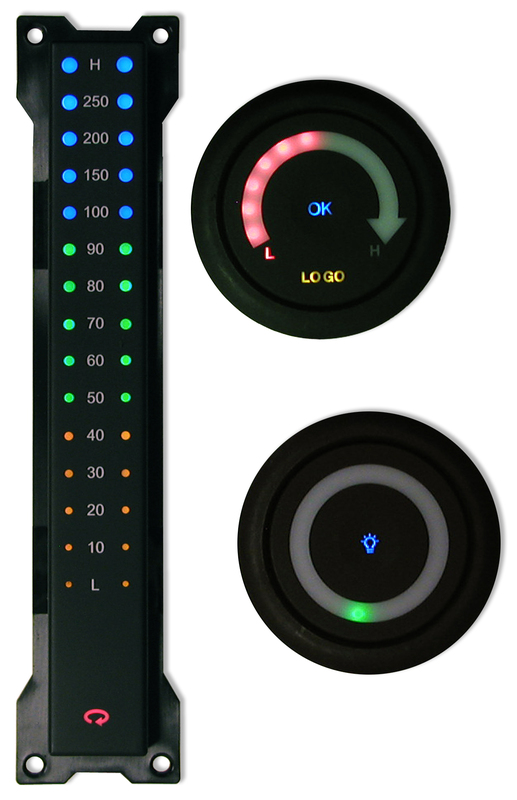 An additional pushbutton switch allows additional functionality – momentary or toggle, optional vibration motor, LED illuminated or a user defined symbol. The vibration motor option can be used to provide vibration feedback to the user when the pushbutton switch is activated. Also offered with these capacitive switches is an optional timer which can be used for time-demand programs. Illumination options include rectangles, circles, alpha numeric digits, horizontal dashes, high to low arrows or custom styles.